Joel Feder January 12, 2018 Comment Now! 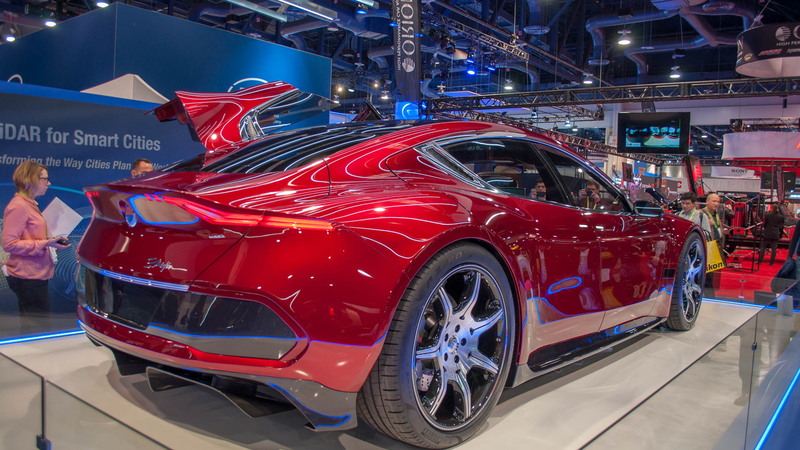 The Fisker EMotion made a bit of a splash at the Consumer Electronics show this week, as a sleek electric car with the look of a supercar. 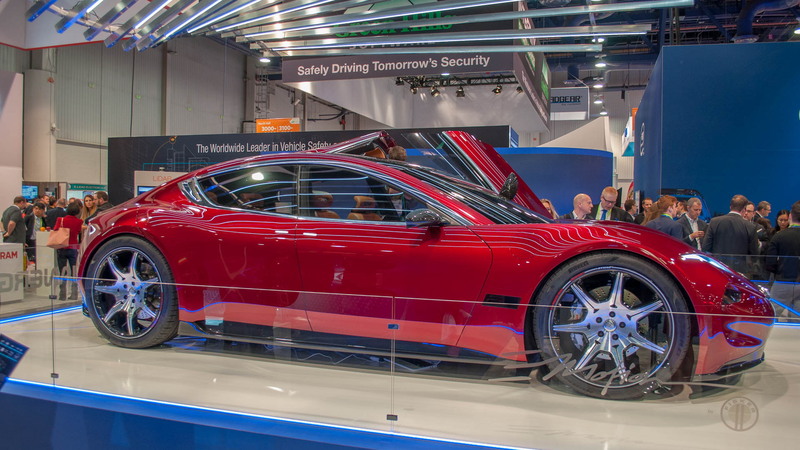 We were on hand at the show and learned some more interesting tidbits about the car in an interview with company chairman and CEO Henrik Fisker. We knew the base price would be about $130,000, but Fisker said pricing would be $130,000-190,000. Fisker Inc., expects most customers to come from the BMW 7-Series with others coming from the Mercedes-Benz S-Class. Total system output will be 775 horsepower, but a torque figure is not yet set and Fisker was hesitant to throw around numbers. We knew the car has all-wheel drive, but torque vectoring isn't a given, though the team is working on it. The 24-inch carbon fiber wheels will be on the production car, and the Pirelli tires are specifically developed for this car with low rolling resistance for improved range and tall sidewalls for ride comfort. Interior space has been a key point from the get go. That was a big problem for the Fisker Karma, so the company benchmarked the 7-Series for rear seat legroom. The overall interior was "inspired by a living room design," according to Fisker, and the passenger seat can be mounted on optional extra-long rails so it can be moved forward to enable a chauffeur mode. 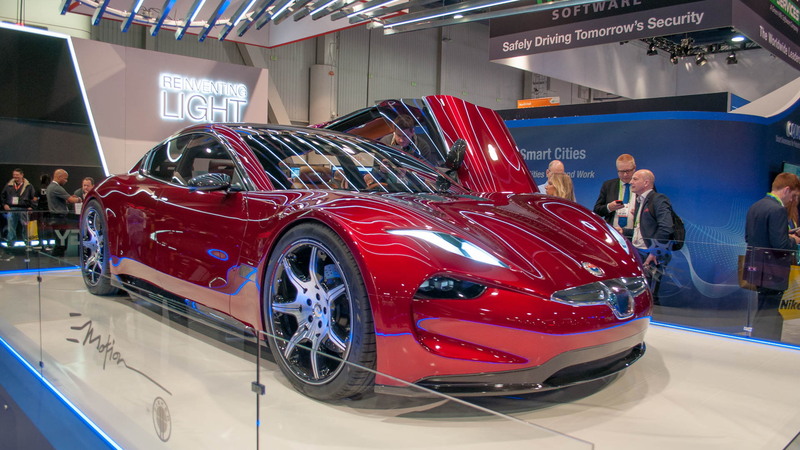 ALSO SEE: Henrik's lessons from Fisker Automotive are shaping Fisker Inc.
From launch Fisker plans for the EMotion to have Level 4 self-driving capability, though that is subject to regulations when the car finally does hit the street. One of the crucial details for green-minded buyers is battery pack size, and it is a whopping 140-kilowatt-hour pack. 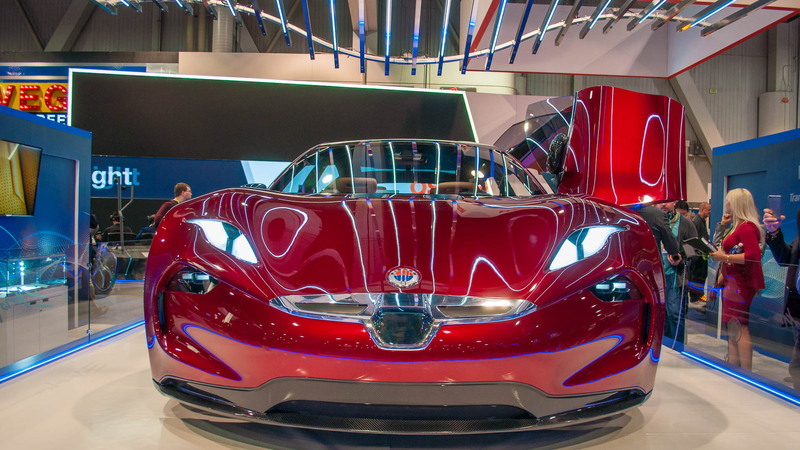 Currently it's a lithium-ion pack from LG Chem, but next year Fisker plans to begin testing EMotions with a 500-mile range solid-state pack developed in-house by Fisker's team. 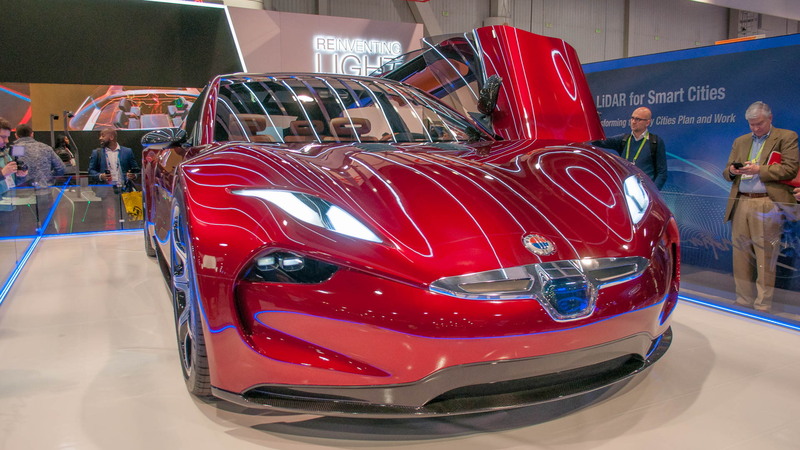 The Fisker EMotion is currently scheduled to begin arriving in customer hands in 2020, but Fisker may be open to delaying the launch if the solid-state battery tech is close enough that the car could launch with it.